On December 14, Calcasieu Parish Sheriff’s Office detectives received a complaint from a local nursing home in reference to theft from numerous residents’ accounts. During the investigation detectives learned a worker at the nursing home, Andrea V. Johnson, 38, 1741 N. Tallow Wood Drive, Lake Charles, was purchasing unauthorized items, such as TVs, DVDs, Rokus, and gift cards, using the residents’ money from their accounts. Johnson would later return the items to the store and receive cash back. The investigation revealed Johnson stole approximately $13,000 from November 2017 until December 2018 from 21 residents. During the investigation into Johnson’s theft, an audit was completed at the nursing home and it was then learned the office manager, Katherine M. Coyle, 42, 5714 Fir Street, Lake Charles, was also stealing from the residents’ accounts. When detectives questioned Coyle she admitted to filling out fraudulent requests for cash from residents’ accounts without their knowledge. She stated she would then cash the checks and keep the cash. The investigation revealed Coyle stole approximately $44,000 from March 2017 until December 2017 from 30 residents. After further investigation, detectives issued warrants for both Johnson and Coyle. 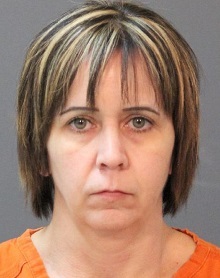 Coyle turned herself into detectives on January 14 and was arrested and booked into the Calcasieu Correctional Center and charged with theft over $25,000; and 30 counts of exploitation of the infirmed. She was released later the same day on a $200,000 bond set by Judge Guy Bradberry. Johnson has an active warrant in the amount of $130,000 signed by Judge Guy Bradberry for the charges of theft from $500 but less than $25,000; and 21 counts of exploitation of the infirmed. The nursing home has fully reimbursed all residents’ accounts. CPSO Detective John Melton is the lead investigator on this case.